WARMINSTER,Pa. (WPVI) -- Police are investigating a possible child luring attempt at a Wawa in Warminster, Bucks County. It happened Tuesday at the Wawa located at 10 Davisville Road. The juvenile female victim told police she was getting food when a white male approached her and began asking weird and inappropriate questions. The victim then made contact with another adult in the store and told them about the situation. The male suspect left the store about ten minutes after arriving. He is described as approximately 50 years old, gray hair, balding and freckled. Authorities say the vehicle appears to be a silver or greenish silver newer model car, possibly a Ford sedan. 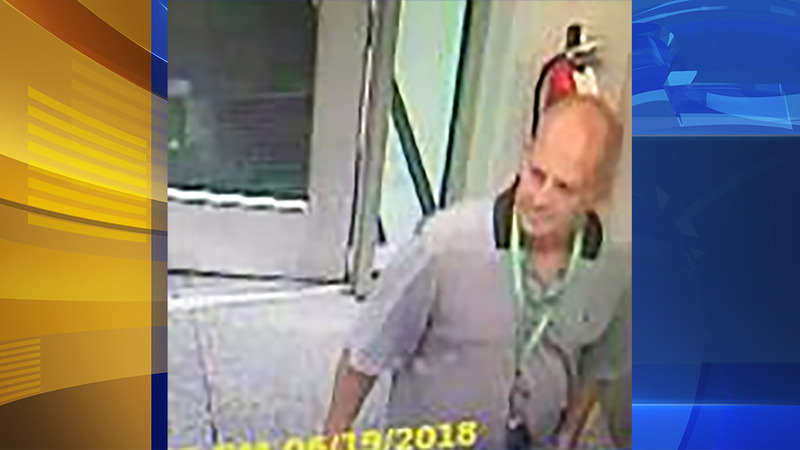 Police would like to speak with the individual in the picture. If anyone has information please contact the Warminster Township Police Department Detectives Division at 215-443-5000.